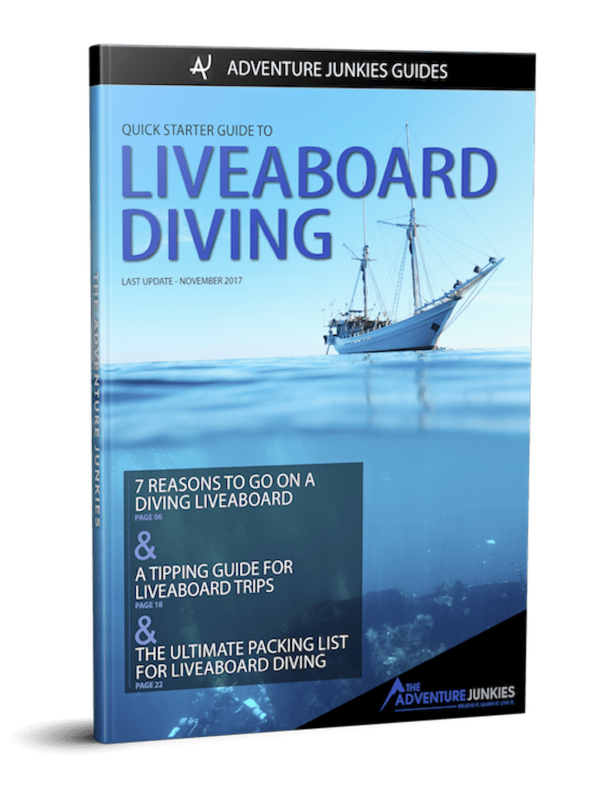 One of our big goals here at The Adventure Junkies is to teach you the skills you need to make your time underwater more enjoyable. 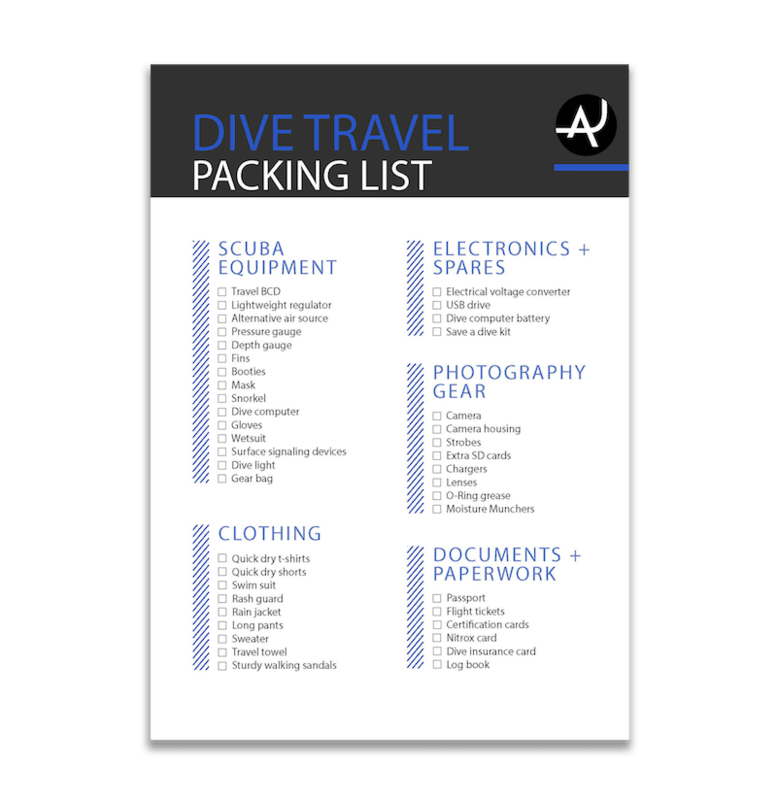 In this article, we’ll walk you through everything you need to know to capture your memories while diving. Perfect buoyancy is crucial and must be second nature. The last thing you want is to crash into a coral bommie because you couldn’t control your buoyancy as you were changing your camera settings. Also, holding onto a piece of coral while you try and position yourself for a good shot is a BIG no no! Good buoyancy control will allow you to get close and personal with your subjects without causing a disturbance. 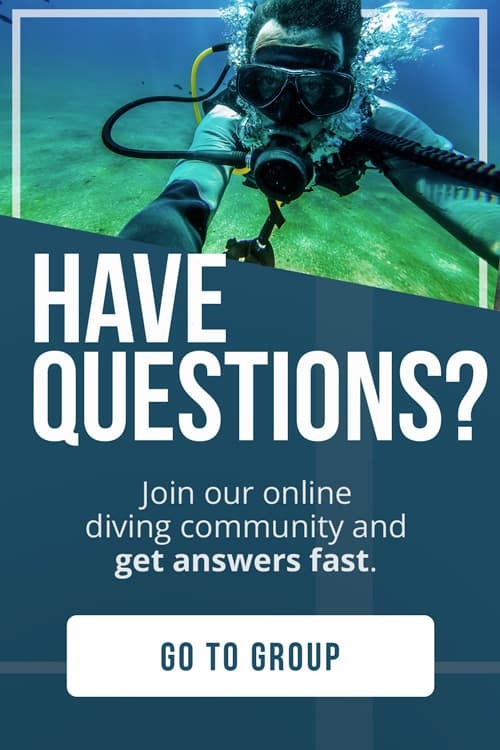 If you are a diver who is keen to learn UW Photography but needs a bit more practice with buoyancy control, consider doing PADI’s Peak Performance Buoyancy course. This course will teach you how to hover effortlessly in any position – an essential skill for any UW Photographer. The world of UW photography equipment is daunting. 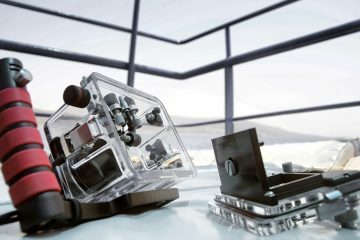 Different diving cameras, lens and accessories are created for a myriad of different photography purposes. Remember, there is no one best UW camera, but rather the right or best camera system for your specific needs and level. Let’s talk about different underwater camera set ups to give you an idea of where to start. Point and shoot cameras are recommended for beginners due to ease of use and price. If you are already a competent photographer and want to get more out of a camera, then you might want to consider using a DSLR or mirrorless camera. DSLR and mirrorless cameras take better images and are more versatile in function. They also have the option of interchangeable lenses. Though this comes at a higher price. It’s important to know that equipment alone will not make you a great UW photographer. 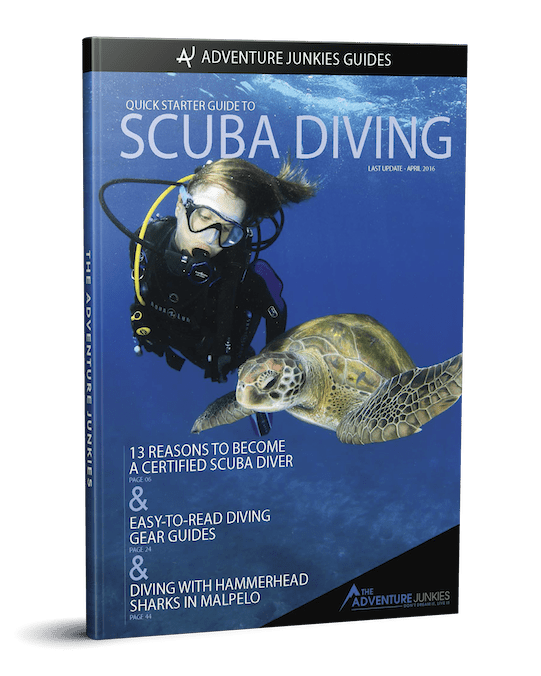 Want to learn more about what camera is best for underwater photography, check out our article all about dive cameras. In most cases, housings and cameras come separately. Compact cameras are more limited in housing options than DLSR cameras. Before purchasing a housing for your camera, ask yourself the following: What is the depth limit of my housing and how deep do I want to go? Are all the controls accessible through this housing? What additional accessories can I add on with this specific model? 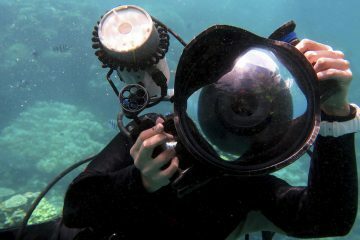 Strobes are used to compensate for light availability issues underwater. Using a strobe flash will up the quality of your photographs more than buying a better camera. Backscatter must be taken into consideration when using strobes. Backscatter is caused by the flash lighting up particles underwater. To get a better understanding of this phenomenon and how to avoid it, read this informative piece from the UW Photography Guide. A good tip to eliminate backscatter is to not position the strobe right next to the lens. For a better understanding of the variety of equipment options available, watch this short video by photographer Tony Northrup. Going into a dive with the knowledge of what you want to shoot is crucial. David Fleethman, a professional UW photographer, recommends picturing the image you want to get before jumping in. This will help you decide if you will be shooting Wide-Angle or Macro. 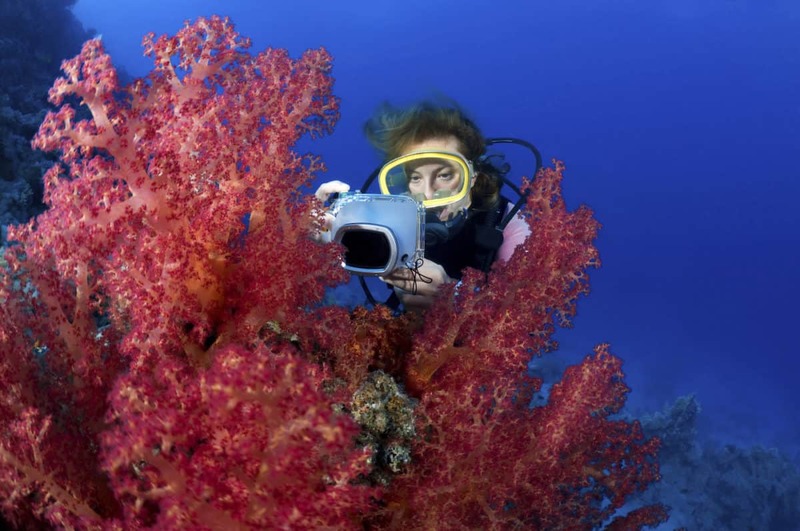 Read more about the best lenses for underwater photography to help you get the perfect shot. Macro photography focuses on capturing the smaller creatures and details underwater. To take good macro shots, you will need to use a flash. If using a camera with interchangeable lenses, make sure you have a macro lens on and not a fisheye or wide angle lens. A tip for great macro photography is to focus on the subject’s eyes. Wide Angle photography will allow you to capture the awesomeness of big ocean creatures or underwater landscapes. Even with wide angle photography, you’re going to want to get as close as possible. If you’re just getting into wide angle photography, practice using ambient light. Once you are happy with your images, try adding strobes.